3 story brick building on the corner of Adams and 3rd Street - is across the street from historic Washington Park in Troy! 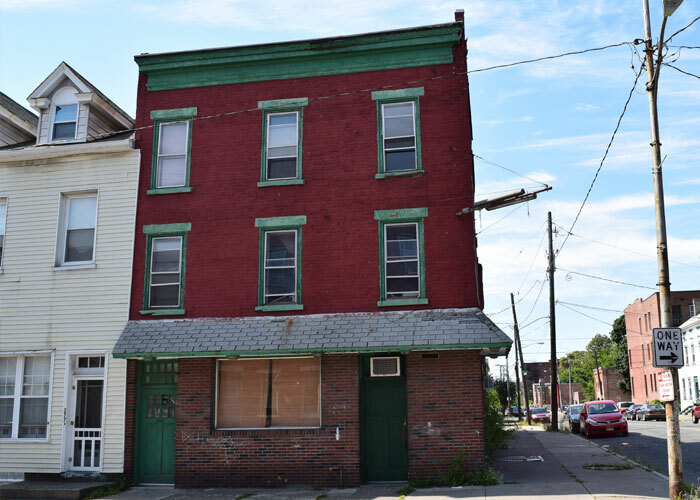 This large 3-family property is centrally located in Troy's hottest "next" neighborhood, Little Italy! As a corner property with a large backyard, each apartment gets lots of natural light and features long, open units. Located steps from historic Washington Park, this 100+ year old brick walk-up was in rough shape when we purchased it in 2014. Since then, we have turned them into some of the most unique and modern living spaces in the Capital Region! Under construction. Coming Summer 2018! Situated on the corner of Fourth and Adams Street in the heart of Troy's hottest "next" neighborhood, Little Italy.